Gold is in! Beautiful, romantic and such a bold statement. 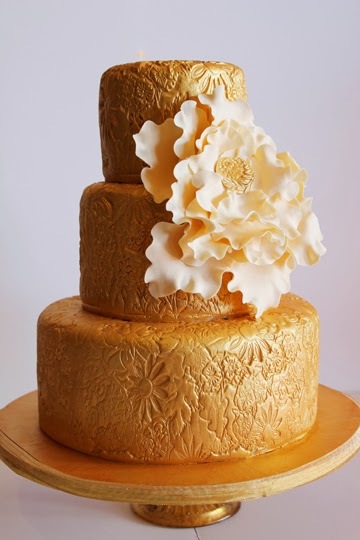 This gold cake is one of our favorites. We have begun experimenting with real gold leaf (ouch...so pricey these days!) and the look is incredible. More images coming soon.